The Contemplative Psychotherapy Program is the leading certification program in the West for integrating mindfulness and compassion-based meditation practices and Buddhist psychology with contemporary psychotherapy, and current neuropsychology. The San Francisco online learning program is designed for local and distance learners and is a combination of 2 live non-residential retreats, online lectures and video conferences. The faculty is comprised of leading Buddhist scholars, practitioners, world-class meditation teachers, pioneering mindfulness and compassion researchers, and renowned clinicians. The San Francisco program is led by Dr. Joe Loizzo, Dr. Pilar Jennings, SF Program Director Fiona Brandon, MFT and Facilitator Geri Loizzo. Past and present guest faculty include Robert Thurman, Sharon Salzberg, Mark Epstein, Tara Brach, Dan Siegel, Chris Germer, Rev. angel Kyodo williams, Richard Davidson, Sebene Selassie, Paul Fulton, Ethan Nichtern, Rick Hanson and others. The curriculum is taught over two years. One year is dedicated to Mindfulness-based Psychotherapy and the other in Compassion-based Psychotherapy. Participants may start the two-year program in either year. The Mindfulness Year will be taught in San Francisco September 2020 – May 2021. Applications for The Compassion Year 2019-2020 are currently being accepted. Apply here. The San Francisco program begins each Fall with a weekend retreat at the San Francisco Zen Center (SFZC), where Nalanda Institute Director Joe Loizzo provides intensive instruction. There is also a winter retreat at SFZC lead by Sharon Salzberg, Pilar Jennings or another of our core faculty. Semesters are comprised of watching weekly 3-hour videotaped classes from New York, weekly readings, and daily meditation practices, enhanced by 8 1.5-hour supervision meetings (via Zoom) with Dr. Loizzo and 8 1.5-hour meetings (via Zoom) with our local program supervisor Fiona Brandon over the course of the year. These live, interactive video conferences take place on Wednesdays from 9:00am–10:30am PT and include group discussion, guided meditations, review of course material and case consultation. Dates for these meetings are given out at the beginning of the program. Psychotherapists, social workers, mental health counselors, psychologists, psychiatrists, psychiatric nurses, physicians, creative arts therapists, educators, entrepreneurs, artists and others in helping professions are encouraged to apply. 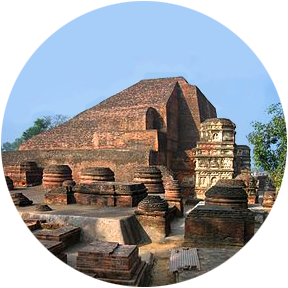 According to the Nalanda teaching tradition, this training can be entered in either year. For those wishing to enter the program in the Compassion Year, acceptance is contingent on applicants’ professional experience and on familiarity with Buddhist thought and mindfulness/yoga practice. Accepted applicants will watch an online bridge lecture to prepare for the Compassion Year training. New participants who graduate from the Compassion Year are invited to continue in the next cycle of the Mindfulness Year. The Nalanda Institute’s Certificate in Mindfulness-Based and Compassion-Based Psychotherapy is awarded to those who complete all of the requirements of that year’s curriculum, including participating in one of the in-person retreats, coursework, meditation teach-backs, daily meditation practice, and a capstone project. Tuition for San Francisco participation is $4,000 per year. Tuition includes San Francisco retreats, all materials, and does not include accommodations for the non-residential retreats. A small number of scholarships and flexible payment options are available based on financial need. Please note that no refunds or credits will be issued once classes begin in September, 2019. 24 Continuing Education Credits (CEs) are available for The Compassion Year 2019–2029. • The California Board of Behavioral Sciences accepts CE credits for LCSW, LPCC, LEP,and LMFT license renewal for programs offered by approved sponsors of CE by the American Psychological Association. • LCSWs, MFTs, and other mental health professionals from states other than California need to check with their state licensing board as to whether or not they accept programs offered by approved sponsors of CE by the American Psychological Association. • For questions about receiving your Certificate of Attendance, contact Fiona Brandon, MFT at fiona@nalandainstitute.org. For questions about CE, visit spiritualcompetency.com or contact David Lukoff, PhD at CE@spiritualcompetency.com. Applications are currently being accepted for the Fall 2019 Compassion-Based Contemplative Psychotherapy Program. Deadline for application submission is August 26th, 2019. For more information, please contact San Francisco Program Director, Fiona Brandon at fiona@nalandainstitute.org. Students gather in San Francisco with SF Director Fiona Brandon.